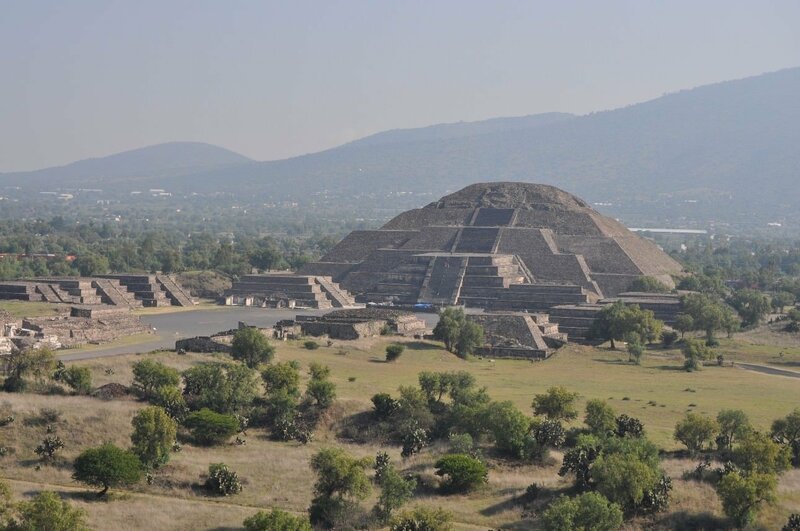 Teotihuacan lies 30 miles outside of mexico city and contains many of the finest examples of Mesoamerican pyramids built in pre-Colombian america. 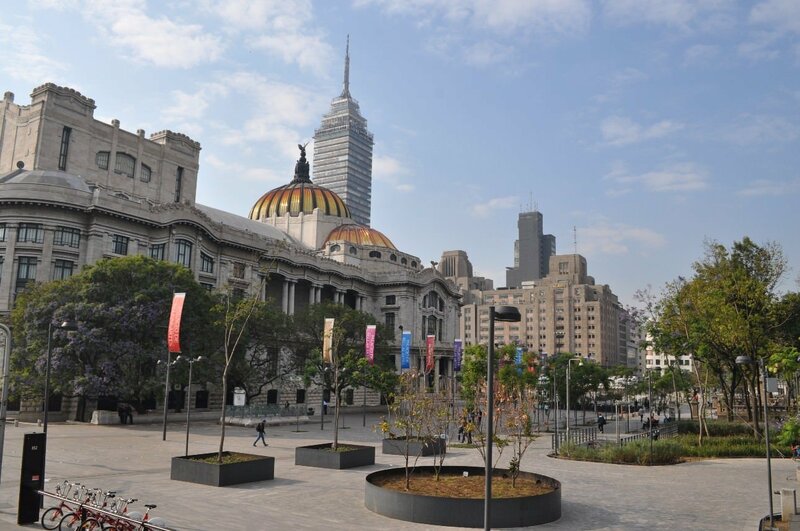 Finally after 5 months of travelling we make it to Mexico City the last stop on the South/Central america part of our trip and our last chance to speak Spanish for a while. 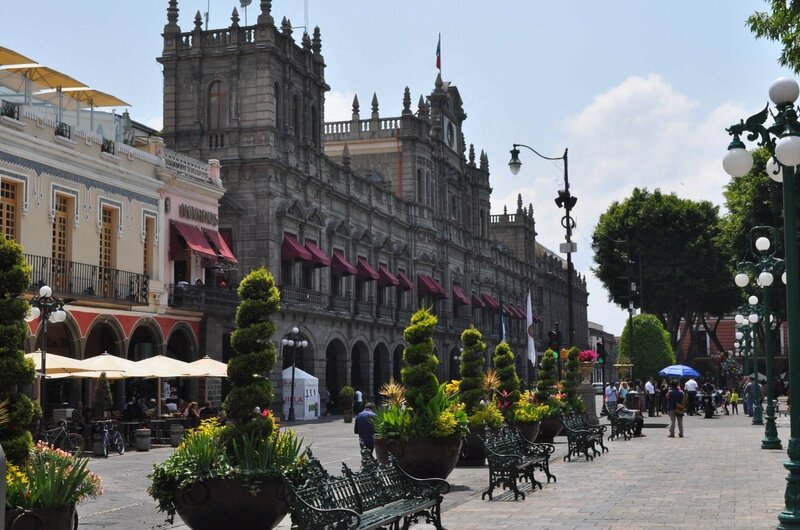 We arrived in Puebla a couple of days before Cinco de Mayo, a Mexican national holiday, celebrating the triumph of the battle of Puebla where a small number of Mexican forces defeated a much bigger french army. 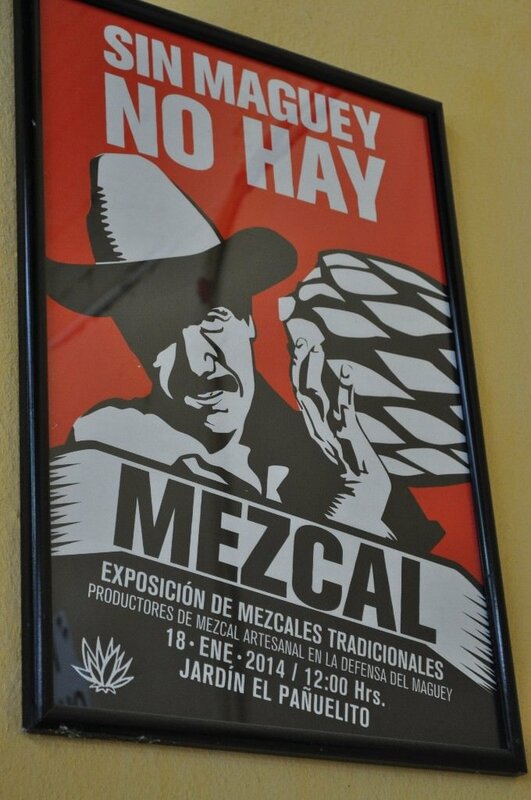 A visit to a Mezcal Distillery, a rug weavers and a town with a really big tree. 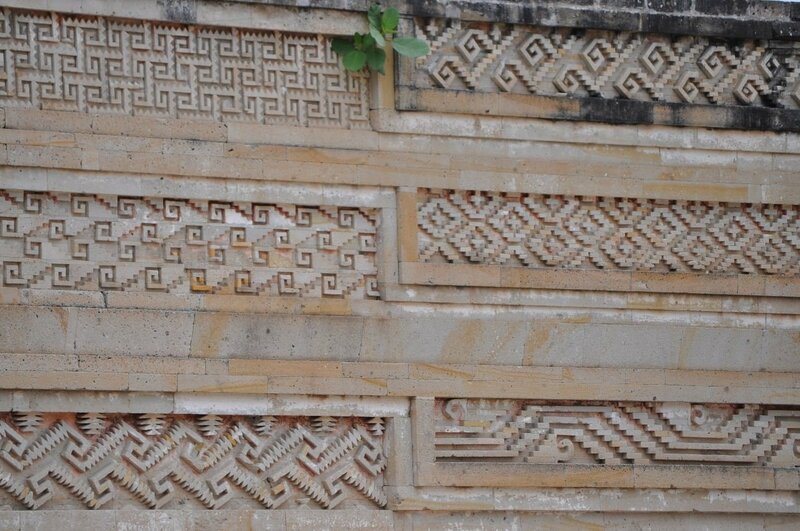 Mitla is a great example of the Zapotec culture and is located a short drive from Oaxaca. It was our first experience of this type of archaeological site and was interesting to see the differences in architecture and design compared with where we have been before. 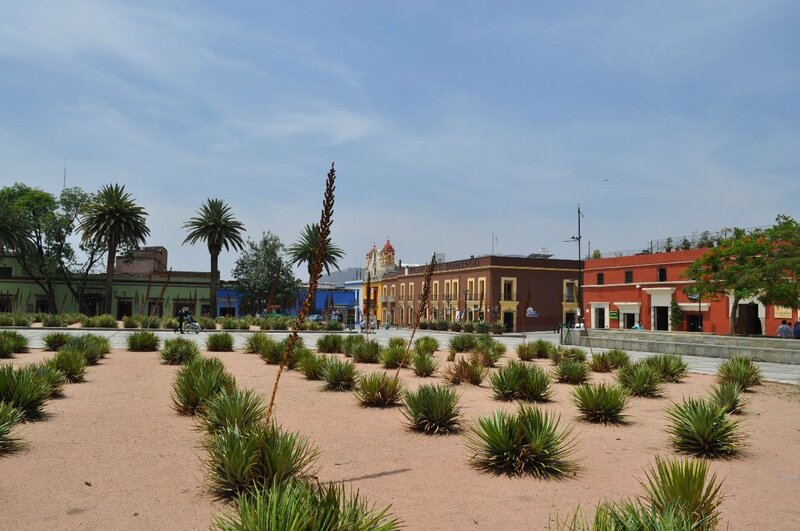 We enjoyed our few days in Oaxaca with its historic center and quiet trendy district on the edge of town. 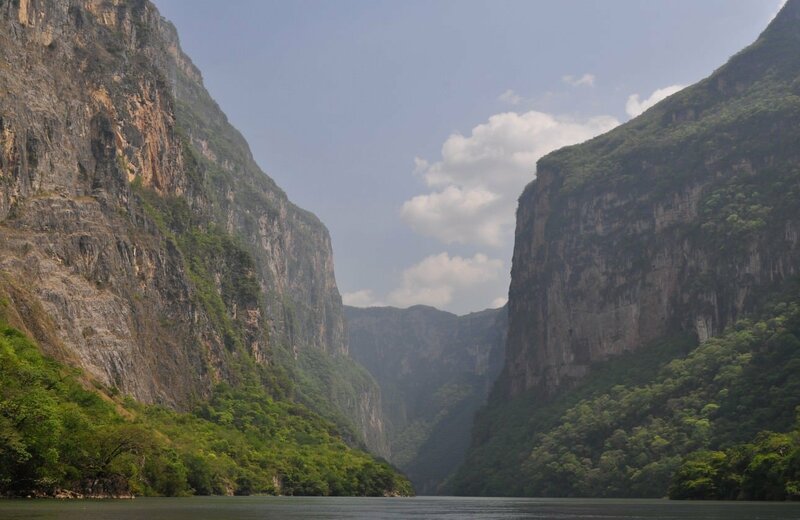 For another day trip outside of San Cristobal de las Casas we decided to visit Sumidero Canyon. Here we got to take a 2 hour boat ride through the canyon stopping along the way to look at the local wildlife. 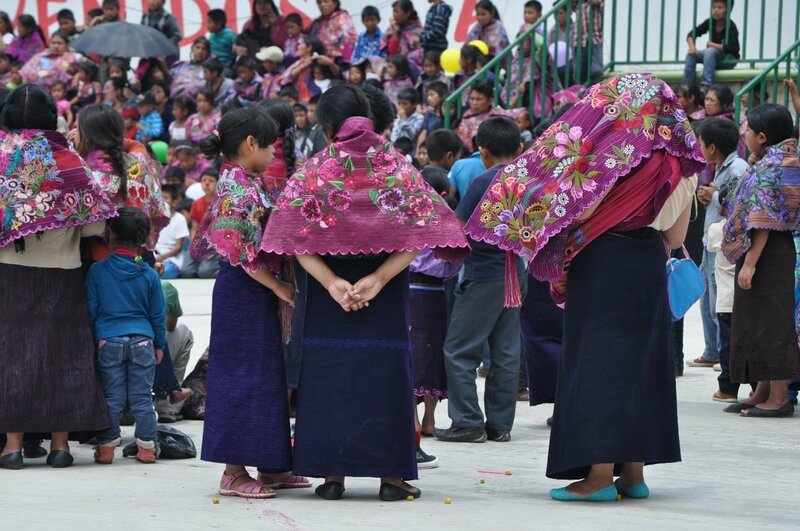 San Lorenzo Zinacantán is another indigenous community in the Chiapas highlands. 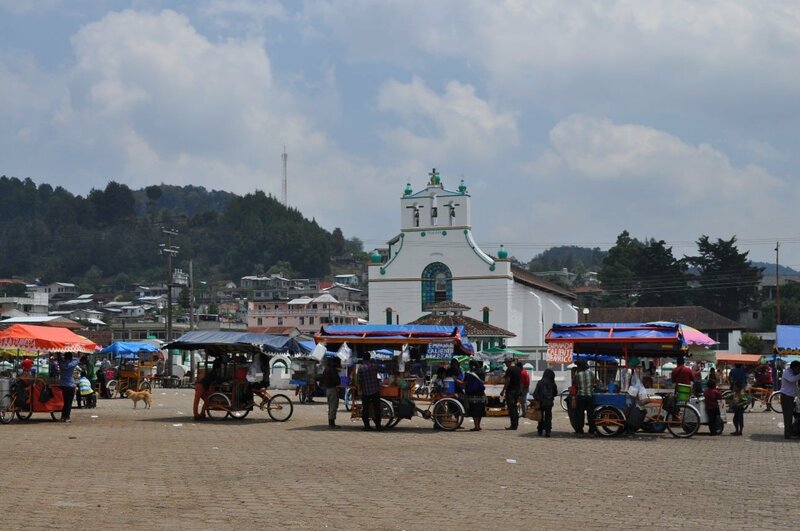 San Juan Chamula is bar far one of the most interesting places we have visited in mexico. 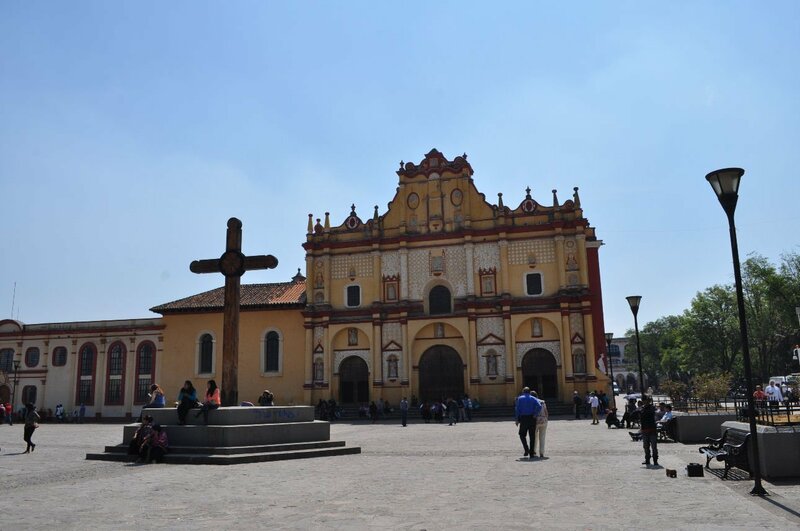 San Cristobal de las Casas is the cultural capital of the Chiapas state of Mexico. It is located in the highlands and the long bus ride to get here from Palenque took on a very windy road that as we climbed higher and higher saw the landscape change until we were in thick pine forest, something we were not expecting to see.